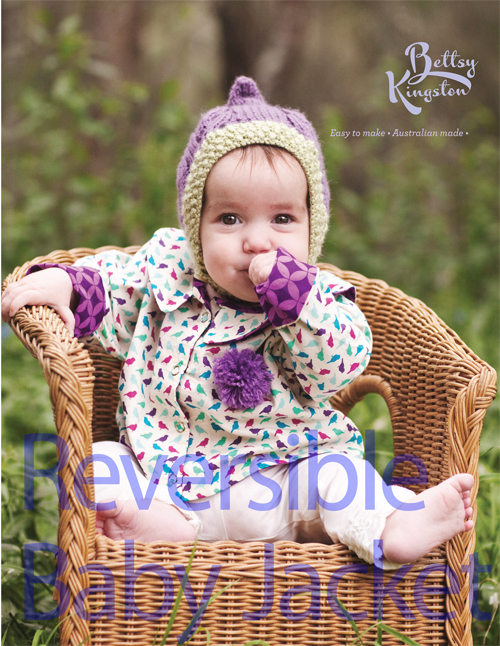 A simple and wonderful reversible baby jacket with Peter Pan collar and long sleeves. Enclose with snaps or buttons. Easy to make with a relaxed swing coat fit. To fit sizes 3 Months - 36 Months.